We’re lounging on the beach in Dingman’s Ferry covertly sipping wine, sangria and various rum concoctions from our water bottles when my friend suddenly announces that there’s a snake in the water. In the same water that we’ve just canoed across to get to said beach, and the same water that we fully intend to go swimming in just as soon as we’ve finished our drinks. He promptly informs me that he’s a turtle whisperer, not a snake charmer, which in turn prompts my friend’s fiancé to announce that it’s a copperhead. 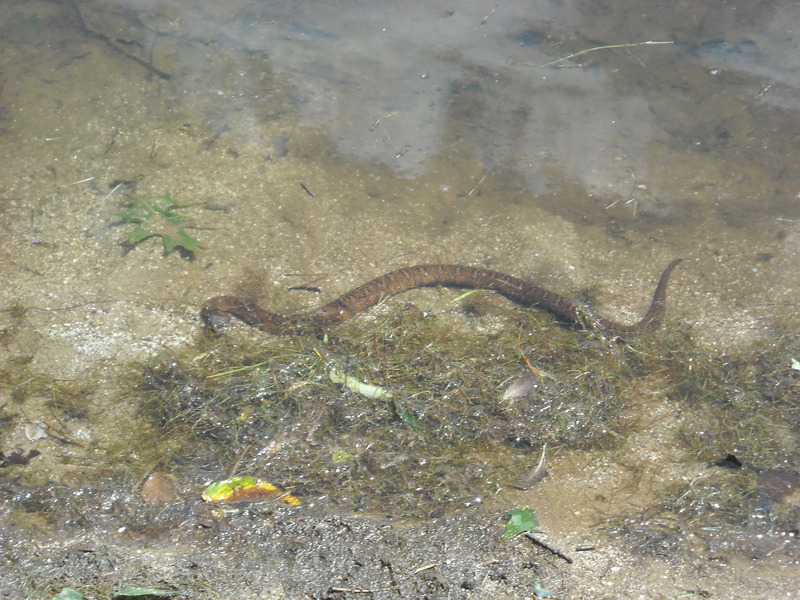 And that copperheads are perfectly good swimmers. And that their venom is also poisonous. So we go back to our “water” bottles and our paperbacks and take bets on the survival of two middle aged women paddling backward across the lake in a rickety rubber boat. 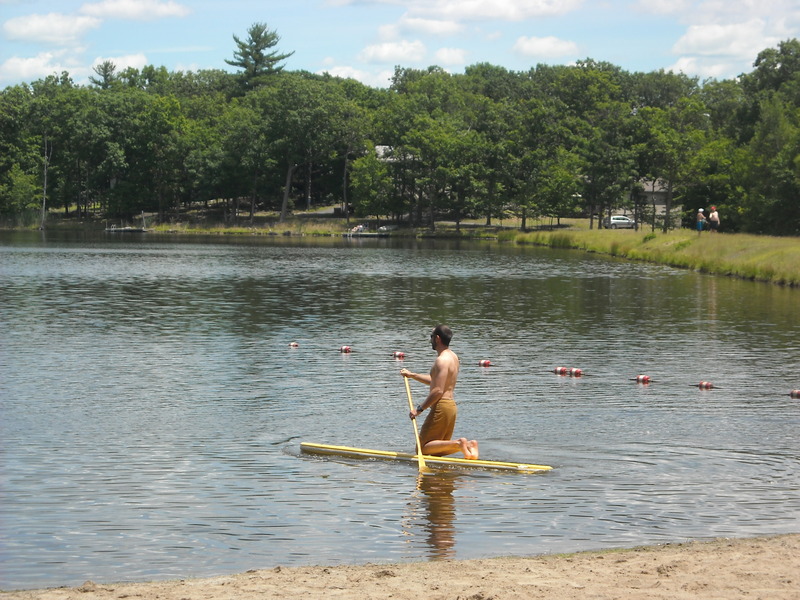 But they make it—albeit rather haphazardly—so we find ourselves in need of another form of amusement: paddle boarding. I didn’t even know what paddle boarding was until my friend’s fiancé pulled one of the paddles from the canoe and headed over to an abandoned oversized surfboard lying on the sand. But paddle boarding is almost as cool as extreme kayaking, and seeing as the water was basically riddled with venomous snakes, there was the added thrill of potentially plummeting to one’s death. Finally, I decided to give it a try. And The Wedding Date filmed. Unfortunately I’m having trouble uploading the footage so you’ll just have to believe me when I say that if paddle boarding was an Olympic sport, I’d totally be headed to London next month. This sounds more like an episode of “Fear Factor” than a family vacation. You guys are a WHOLE LOT braver than me – I would have paddle boarded my way back to shore and wouldn’t have stopped until I reached the nearest bar. Nice form there, Kat. I’d award you the gold medal for sure! I’m not sure, but I think vodka-pickled copperhead is a delicacy. I’m glad you didn’t fall into a venomous death. So brave to be paddle boarding in snake infested waters! I am impressed. And you look fabulous together in your swimwear. And really, what is more important than that? I can’t believe that guy is standing in the water.